Click on each image to see information about the speaker. H.H. Cyriaque Vallee is originally from France. He was a successful fashion model and used to travel the world modelling for internationally recognised brands such as Giorgio Armani and Ermenegildo Zegna. When he was introduced to spirituality by his wife (who was also a successful model), he realised that only spiritual practice can give everlasting happiness. In January 2009, they made the decision to come stay at the SSRF Research Centre and dedicate themselves to spiritual practice with their daughter, Anastasia. They moved to India with only 3 suitcases of belongings and they have been living in the SSRF Research Centre for the past 10 years. By doing spiritual practice with full dedication he made rapid spiritual progress and reached Sainthood in 2013. 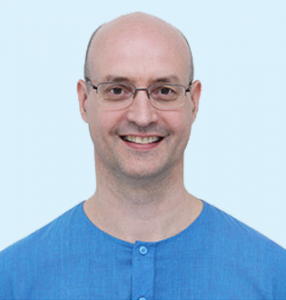 Cyriaque oversees all of SSRF’s activities internationally and many seekers have received invaluable guidance and support from him in their spiritual journeys. 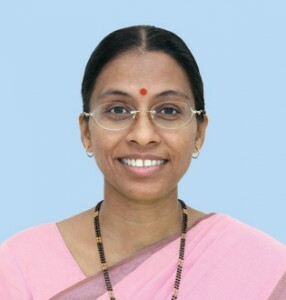 Her Holiness Bhavna Shinde Hurley started spiritual practice in 1999 under the guidance of SSRF and His Holiness Dr Athavale. For the most part of her spiritual journey, she has also worked in the IT industry in the USA as a computer engineer with a Masters in Business Administration, while looking after her son and family. Ever since she was a child, the lives of Saints such as Tukaram and Mirabai held a special place in her heart and she yearned to be like them. In 2015 she achieved a milestone in that direction when His Holiness Dr Athavale announced that she had attained the state of Sainthood. Yet her journey to Sainthood has not been easy. H.H. Bhavna has had to overcome many hardships in her life. Her spiritual journey is a testimony to the fact that one can become a Saint despite severe destiny and distress, by doing spiritual practice as per the basic principles of Spirituality. It was only because of her intense desire to go to God that she turned each difficulty into an opportunity for spiritual growth and surrender to God. It is because of H.H. 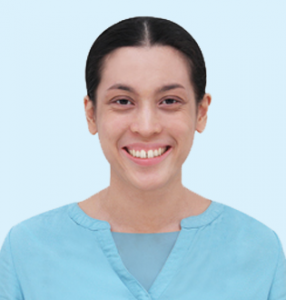 Bhavna’s motherly love for seekers and her personal experience, that she is able to accurately guide seekers in a way that they easily imbibe the guidance. Mr Rendy Ekarantio is from Jakarta, Indonesia and he is the disciple of His Holiness Dr Athavale, a Saint of the highest order Who lives in India. 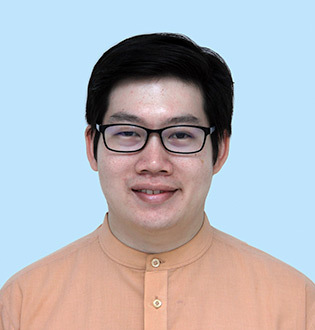 He graduated from the Queensland University of Technology (Australia), with a BEng Electrical Engineering and works as a management executive in the oil and gas industry. After starting spiritual practice in 2011 under the guidance of SSRF, he has had many life changing spiritual experiences and overcome many difficulties in life. This increased his faith in spiritual practice. He has conducted spiritual workshops online, around Indonesia and at the Spiritual Research Centre in Goa, India. Rendy has the qualities of humility, thinking of others and spiritual emotion due to which he has made rapid spiritual progress. 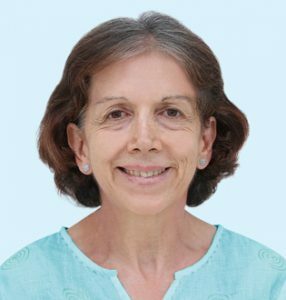 Mrs. Dragana Kislovski is from Belgrade, Serbia and is the disciple of His Holiness Dr. Athavale, a Saint and Spiritual Master from India. It is with His blessings and guidance that Spiritual Science Research Foundation (SSRF) was founded and has grown to the world fastest growing spiritual website attracting over a million visitors every month in 22 languages. In her professional life, she was responsible for organizing and managing large International prestigious events for over 25 years. This included 2 Olympic Games, one in Sarajevo, Bosnia, and one in Atlanta, USA. She was also Director of Sales and Marketing in the USA Hotel business for 8 years. Since the year 2000, she has dedicated her life to spiritual practice and has lived in SSRF Spiritual Research Center and ashram on and off for several years. Having lived and worked in 4 continents, Dragana has an in depth cross-cultural and spiritual understanding. She could clearly see how everyone regardless of background, nationality and religion could benefit from these Universal spiritual principles. 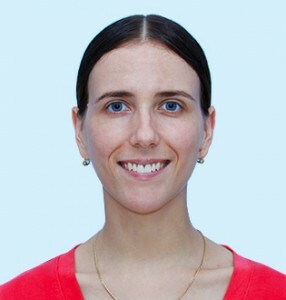 In May 2018, Dragana will come to Tallinn, Estonia for the first time, to share the unique knowledge of SSRF to seekers in Estonia. 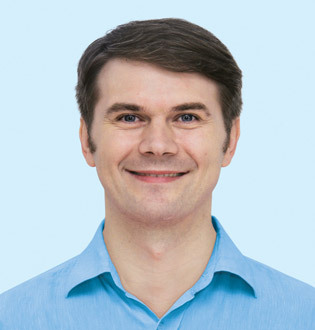 Mr. Andrey Kislovski is a computer engineer, born in Serbia of Russian origin. He has been doing spiritual practice under the guidance of the Spiritual Science Research Foundation (SSRF) since 2001. His aim in Spirituality was always to experience continual Bliss. Due to regular spiritual practice and inner desire for God, he started to experience Bliss more and more for the past several years. He is presently doing the service to God of conducting spiritual meets and lectures in Europe and has dedicated his entire life to serve others in this way. Mrs. Radha Mallick is from Vancouver, Canada and is the disciple of His Holiness Dr Athavale, a Saint and Spiritual Master from India. Her family is of a Buddhist background and from a young age she was interested in learning about spirituality. By profession she is an Early Childhood Educator and graduated from Capilano University. Since 2011, she has dedicated her life to spiritual practice and has lived in the SSRF Spiritual Research Center and ashram in Goa, India for the past several years. Radha has a lot of love for others and ensures that all attendees gain maximum benefit from the spiritual workshops she conducts. She has conducted SSRF workshops in USA, Canada, and India & is leading the SSRF Promotions Team as her service to God. This year she will be touring in Canada and USA to share her spiritual knowledge & spiritual experiences in workshops organised by SSRF. Mrs. Kristen Mandziuk-Hardy is from St. Catharines, Canada. She completed an honours BA in Philosophy as well as yoga teacher training. By profession, she helps run her family business in Niagara, Canada. Since young age Kristen searched for truth and greater meaning in life. When she was 14 she began studying world religions, and practicing meditation and yoga. She tried many different spiritual and healing techniques over the years, but always felt unfulfilled. In 2009 Kristen was blessed to visit the SSRF Research Centre in Goa, India, where she began spiritual practice. After this, many problems in her life reduced, and she began experiencing love for God and happiness from within that she never imagined possible. With desire to help others learn about the benefits of spiritual practice, Kristen began offering her time to the spread of Spirituality in 2009. In 2016, she decided to dedicate more time to spiritual practice, reducing her work hours and responsibility. 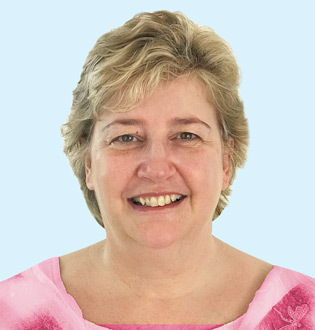 Kristen now helps seekers learn about Spiritual practice through various online spiritual meetings, lectures, and helps guide the seekers in Ontario, Canada. Mr Vladimir Ćirković is from Serbia and he is a disciple of His Holiness Dr. Athavale. Vladimir graduated from the University of Art in Serbia and had a successful career as a professional actor. He was exposed to all the success the profession can bring but he always felt that something was missing. No matter how successful he was, he did not experience inner fulfillment. Initially, Vladimir did not even believe in God, but after starting spiritual practice, Vladimir began to understand that God was the missing element in his life. He had more spiritual experiences within one year than career actors he spoke to had in their whole career and so Vladimir began to understand the importance of spiritual practice. Within a short period of time, he understood that spiritual growth is the true purpose of life and the time he devoted to Spirituality steadily increased. As a result, Vladimir has made significant spiritual progress, is currently fully dedicated to spreading of Spirituality and is looking after the spread of Spirituality and the spiritual practice of seekers in Europe. His aim is to serve humanity in the Divine mission of spreading Spirituality for the betterment of every individual and society as a whole. Vincent is from Belgium and is of a Catholic background. 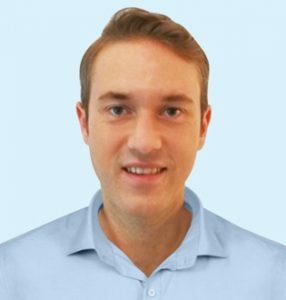 Vincent holds a Master in Finance from the Vlerick Business School in Belgium. He started his career in Singapore in 2003 and co-founded a physical gold trading business that he still manages today. His active work and social lives were accompanied by destructive habits such as excessive drinking and smoking. 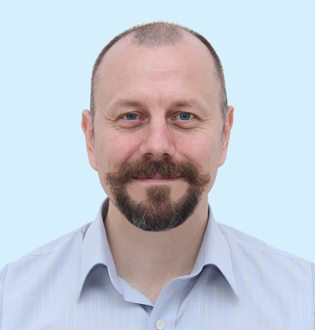 After discovering the SSRF website, Vincent started chanting and implemented spiritual healing remedies which led him to completely stop drinking and smoking within a few weeks. After attending the MAV workshop at the Ashram in Goa, Vincent started regular spiritual practice and felt spiritual emotion for His Holiness Dr Athavale. Spiritual practice resulted in better health, improved relationships at home and in the office and a reduction in overall stress levels. Susan’s first spiritual experience was as she was driving to work one day. This came unexpectedly as she had not thought about God since she was little. She felt compelled to stop the car and onto the grass bank. She felt God was with her. She began to cry with spiritual emotion she didn’t understand at the time and had tingles all over her body. She just knew then and there God was showing himself to her. After her brother passed away in January 2017 due to an alcohol addiction, Susan felt inside that her brother was not at peace even in death. She searched on Google “Where do you go when you die?” www.ssrf.org was there on the first page. She read the article on ‘How departed ancestors affect us’. She knew immediately this is what she had been searching for all her life. Susan has been to the Ashram in Goa, India twice. On her second visit, she stayed for a month and learnt so much about the spiritual dimension and how it affects our lives. Meeting H.H. Dr. Athavale and being in his presence, changed everything for her. His love for her was pure, honest and unconditional. 18 months ago, Susan retired from a successful career in Insurance and became a full-time seeker. She says that this is her life now; she wants to surrender to God for His mission to spread the Absolute Truth to society around the world. Mrs. Silvia Dáttoli is from La Paz, Bolivia. She was born to a Catholic family and since her childhood she had a big desire to find God. She graduated from the school of arts at her town's university and later started a career in the cultural field at a diplomatic organization. Her main responsibilities included designing and managing different cultural projects and she was the organizer of large events on different topics at the national level. She started her spiritual practice under the guidance of SSRF in 2011, after one of her sons found the website and motivated other family members to join. 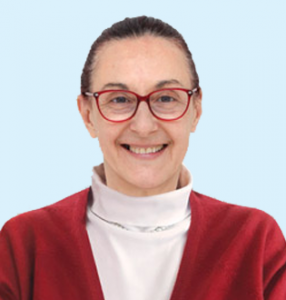 She feels it is God's grace that she is continuously surrounded by seekers from whom to learn as her three children also do spiritual practice under SSRF´s guidance. Her wish is to humbly share with others what she has learned about the impact of the spiritual dimension in life and how we can purify our minds to overcome difficulties and constantly experience God within. Over 400+ lectures in 16 countries. Please check back for updates. SSRF also offers 1, 2, 3 and 5-Day spiritual workshops to best suit your needs. Please click here to visit our Workshop page.